I’m done building out my collection of Canon lenses, maybe forever. At the peak, I had about 10 lenses, I recently sold 2 of them. I have the wonderful Canon EF 70-200 f4 L IS, a fantastic lens, one of my favorites. I have a nice collection of Canon primes but I really don’t use these too much, anymore. They’ve been replaced by my Panasonic Lumix 20mm f1.7 and Lumix 14mm f2.5. My Olympus 45mm f1.8 can go toe to toe with my Canon 85mm f1.8 optically, but the Olympus wins hands down for size and comfort. The Lumix 20mm beats the Canon 35mm f2 and Canon 50mm f1.4 optically, no question. Oh and on the Olympus bodies, all of these prime lenses have image stabilization, something that I could only dream about in the Canon world. The newer prime lenses for Canon all seem to be targeted towards the L crowd and priced accordingly while the lower priced offerings tend to be cheap kit zooms. Contrast this with the micro 4/3 world where high quality prime lenses are still relatively affordable. I look at the micro 4/3 world and all I see are fantastic lenses that I want to own. Panasonic and Olympus, probably by design, nicely compliment each other in building out the m4/3 lens portfolio. Even Sigma has joined the party. I own 3 prime lenses; which prime do I buy next? Do I go wider with the Olympus 12mm f2.0 or go for the Panasonic Leica 25mm f1.4? Also in a month or so Olympus is releasing their 75mm f1.8. On the zoom front, Panasonic is filling out the line with the already announced 12-35mm f2.8 followed by the rumored 35-100mm. While some of these lenses are pricey, they are in line or priced lower than their Canon and Nikon counter parts. And unlike Canon and Nikon’s 10 – 20 year old aging primes designs, we have modern glass on the m4/3 front. Some may argue that the image quality on the full frame 35mm and APS-C sensors will be better than the micro 4/3. That maybe true at the sensor level but sensor quality is a separate issue from lens quality. I’m not a lens designer so I can’t confirm this but I’ve heard that is easier to create higher quality, smaller lenses. So while you may get less noise and more range from your full frame sensor, you won’t necessarily get better edge to edge lens sharpness. In addition, I’ve read that the larger the space between the sensor (or film) and the back plane of the lens, the more optical compromises need to be made, thus reducing image quality. The DSLRs have a lot of space between the sensor and the lens because of that flapping mirror. The mirrorless cameras, like the Leica range finders, have the no moving mirror to worry about. These non-SLR cameras have a very short distance between the sensor and lens, thus increasing image quality, I’m told. You do get a shallower depth of field with the full frame cameras, however this is not desirable in all types of photography. In street shooting and landscapes, for example, having a deeper depth of field is often sort after. In fact, DSLRs with larger sensors can be at a distinct disadvantage in lower light conditions if you need more depth of field and don’t have a tripod handy. So yes, I am enamored with the new mirrorless camera world. Absolutely. I get arguably higher quality lenses at lower prices. I get a great lens selection that is rapidly growing. And I’m on the leading edge of a trend that is destined to continue. The mechanical, flapping mirror, DSLR is a dinosaur. Some people just don’t realize that the comet has already struck the earth and the weather is beginning to change. The small and nimble are the ones who are going to survive. I currently own 3 prime lenses for the Micro 4/3 format, the Panasonic Lumix 14mm f2.5, Lumix 20mm f1.7 and Olympus 45mm f1.8. I like all 3 for different reasons. If you are planning to purchase any of these lenses please click these links. You will get the same low Amazon price and I’ll get a small commission, which helps support this site. Wow! You are a great evangelist for micro 43. I am right there with you. I can’t wait for the 75mm. This one not for me unless I hat some kind of lottery, but I’ll bet there are lots like you who will love it. Even the 45mm 1.8 is a little longer than I would like, but it is brilliant and I do love it. I’m getting good results with the 45 but I also have more misses than the other lenses because of, probably, sloppy technique on my part. I’ll will practice some more and get better at the 45 before I jump to another large aperture telephoto. $900 is a bit higher than I hoped but we will see how nice it is. Yeah, micro 4/3 is what I like right now but I like the entire mirrorless segment in general. These days, I mostly have my wife’s 20mm Panny on my E-PL1, I’m actually glad that she doesn’t ask for it since she also has the Oly 45mm. With these two and the 14mm Panny, I would be pretty much set, tho a nicer and somewhat faster 17mm than Oly’s would be nice to have (love that focal length for the streets, and at least f=2 would be cool. And no, the Viogtländer is a bit pricey for me). Thank you Wolfgang. Interesting take by Bill. But much of his argument again is just sensor based. The advantage of Micro 4/3 for me is the size of the camera. Having a full frame Nikon for $1500 is great but the camera will be, big, like the current bloated DLSRs and lenses. His comparison of a theoretical full frame Nikon to the Canon 7D is also just a sensor based argument. Do you really think the full frame, entry level DSLR will have the same frame rate and focusing system as their more expensive D800? Probably not. The 7D is a good camera because it has a decent focusing system with 8fps shooting. And yes, if the entry level Nikon Full frame has a great focusing system and 8fps that would deal a huge blow to the 7D and Canon in general, however, it will also decimate Nikon’s own higher priced cameras. I’m glad I only got a little bit down the Canon dSLR path before I discovered micro-4/3s. The quality and speed wasn’t there before and it still seemed expensive, but now the tide has turned. I have the E-M5 with the Panasonic Leica 25mm f1.4 and can’t recommend it enough. The rendering is fantastic. It just takes photo’s slightly differently to other lenses available on micro4/3, but that slight difference makes the photos more aesthetically pleasing, which is what we’re all after really isn’t it? I can’t quite justify the 75mm f1.8 at the moment, but have my eye on the Panasonic 35-100mm f2.8. It’s exciting times indeed when you have this sort of glass to choose from. adventurerob, thanks for your visit. The E-M5 and the Panasonic Leica 25mm indeed sounds like a sweet combination. 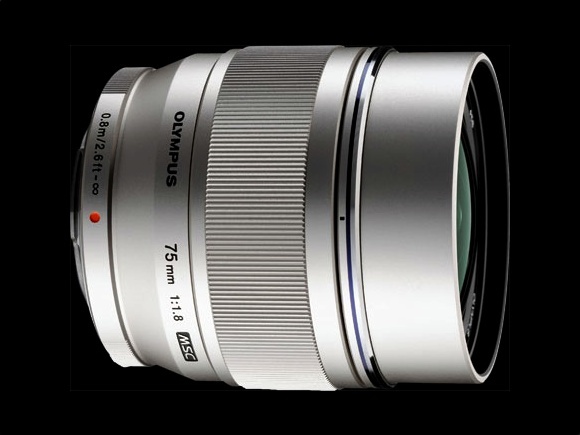 Yup, the 75mm is more expensive than I hoped but that is a specialized lens and Olympus probably figures they can get a premium for it, at least in the beginning. This is a great post. I feel the same way about the momentum m4:3 has developed and it’s largely due to good lenses and usability. Nice blog. Thank you, Kirk. Interesting times. I’ve been using a GF-1 and the 20mm 1.7 and 14-45mm for a while. I love the camera, the 20mm is great, and being able to do nice quality video on occasion is great. I was thinking about selling off all of my Nikon gear, and going strictly with m4/3. When the D800 was announced and reviewed… i changed my mind. It’s been years since I shot “full frame” 35mm film, and the first time I looked through the D800 viewfinder, it was and “eye opening” experience. I always wanted to get into medium format film or digital, and for $3000 I feel I am as close as I will ever be. I am sticking with both systems… m4/3 for the portability, and the D800 for the ultimate quality that I can actually afford. Thanks for the though provoking post! Sean, thanks for your visit and comment. D800 does indeed seem ground breaking, starting to challenge the low end of the MF market. I’m using the m4/3 the most but I still use my Sony NEX-5 and Canon 7D from time. Each camera has its strengths so I use the best tool for the purpose. ← Which mirrorless camera should I get?